Kruger Park’s large central region spans nearly 30% of the reserve’s territory and supports a vast amount of game. A combination of woody areas and grassy savannah make it ideal for large grazing herds of wildebeest, antelope and zebra. This attracts many predators, and the area has the highest number of wild cats, particularly lions, of the entire Kruger Park. 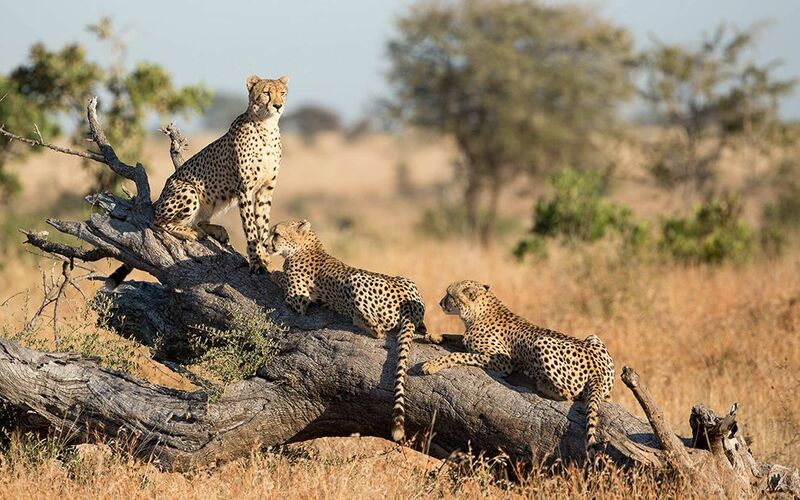 The section between Orpen and Satara rest camps is known as the “feline area”. 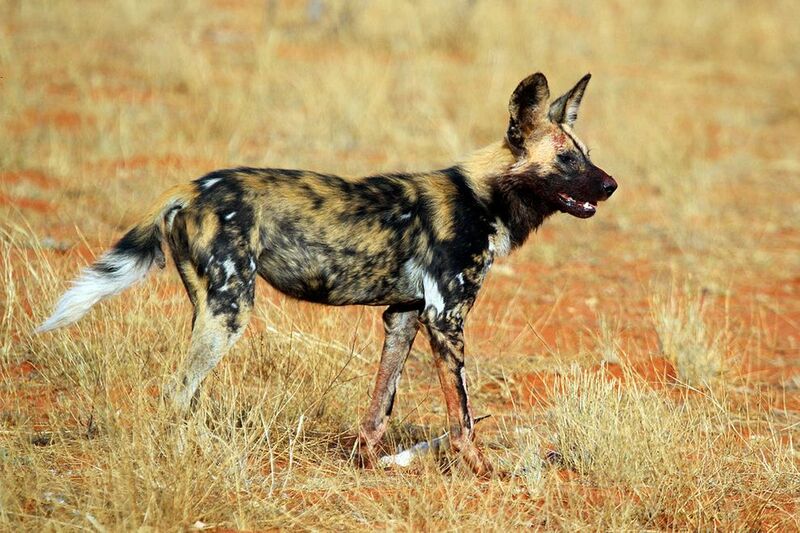 And pack of wild dogs are often encountered in the early morning on the tar road. In fact, the chance of coming across a kill is higher in central Kruger than anywhere else in the park. Here you’ll find most of Kruger’s larger raptors and the biggest vulture populations of the Park. No major rivers are running through the central grasslands, only a number of secondary watercourses, like N’wanetsi, Sweni and Timbavati. For a short drive, head from the Olifants camp, travelling on the H8, and take the first sand road (S93) right. Travel up to Von Wielligh’s Baobab, where the S44 branches off to the right and loops around to the Olifants lookout and along the Letaba River. where you will take a left back onto the S93 and head back toward the camp. From Letaba Restcamp, travel north along the H1-6 past Das Neve’s Cross and take a right on the S62, which has several branches leading to smaller loops and lookout points, including the Matambeni Bird hide. The road leads all the way to the Longwe Lookout. The H9 from Phalaborwa passes the S51, which takes you to the Sabie Hide, overlooking the Sabie Dam. Continuing along the H9, you will pass the Masorini Archeological Site and a picnic spot. Take the second left onto theS96 to drive along the Shilawuri Loop which connects with the S131, onto which you turn right to reach theH9 to Letaba Restcamp. The S40, via the H7 from either Satara or Orpen gate, leads to the popular Timbavati area. There you’ll find picnic spots and get-out points for game viewing. Travelling on the S40 from the South, take the S39 (Timbavati Road), alongside the Timbavati River. Then return to the H7 between Orpen and Satara.